Searching for the perfect answering service isn’t going to be an easy task. It is obvious that you want the best possible service for your small business. After all, it will play a crucial role in helping you cross the next milestone. The person on the other line of the phone represents your business. The wrong tone of voice or poor choice of worlds could put off potential clients. There are a couple of tell-tale signs you should look for in possible contenders before signing up with them. This article sheds light on a couple of these. Every business will have different requirements from answering services, which is why it doesn’t make sense to offer a one-size-fits-all pricing package. A good answering service doesn’t have two extremes, the most expensive kind or the cheapest kind. Instead, they will have customised pricing packages to facilitate businesses of different sizes. The most obvious sign that a service isn’t effective at what it promises is if it offers a flat rate or pay per call a very few plans that would suit your business. 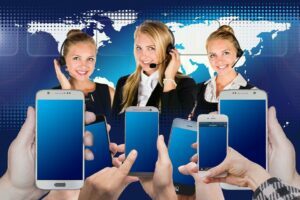 A good answering service will want to save you money, not manipulate you into using more answering services than you need. In addition, good answering services will help you monitor call volumes and costs into the next month. The answering service should offer bespoke call handling options. No two businesses will have the same options, so the answering service shouldn’t limit your options. The service will work with you to gather necessary information that works best for your business and employees, handling calls, and your clients. It is common for many online customers to investigate a product or service before purchasing it, which means they will spend a lot of time learning about the product from your sales team before closing the sale. For many small eCommerce businesses, it is not a sustainable option to spend their resources on handling such phone calls. This is where a good answering service comes into the mix. A professional answering service will provide help to your customers at every step of the way. A good service will be transparent to customer reviews, which means they won’t actively try to filter out customer feedback. An answering service should allow customers to leave reviews. However, if you notice unusually rave reviews, you might be looking at dishonest attempts to skew customer reviews in order to lure more customers. A good answering service will have reviews that are characterised by a healthy distribution curve. After all, you can’t realistically please all clients. The answering service will have its own customer support helpline to mediate possible grievances with the service. The service will invest both time and resources to ensure their support team is as helpful as possible. Response times are quick, team members are helpful and friendly, and they are eager to resolve issues in a timely manner. Are your staff members overwhelmed by the number of calls you receive daily? If so, give our highly experienced professionals at telephone-answering.biz a try. Get your 14 day free trial here!